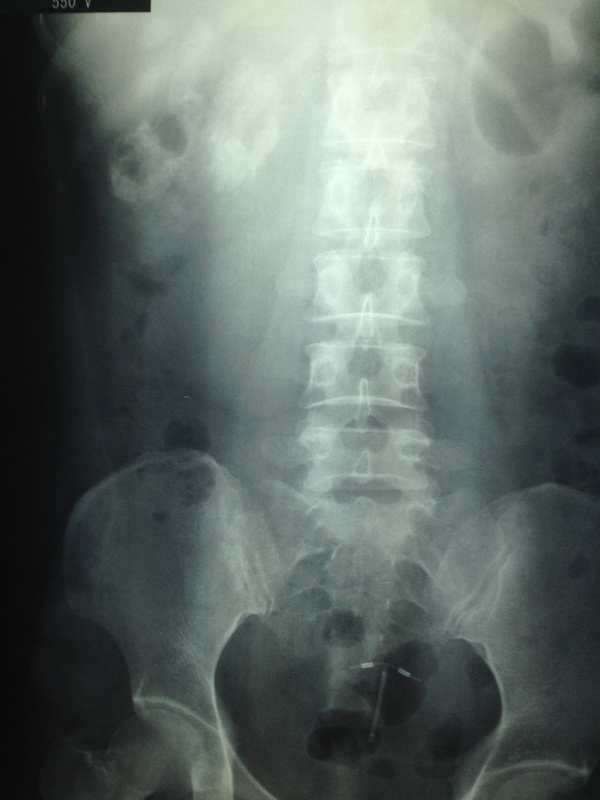 WOMAN 45 YO, PAIN AT RIGHT SUBCOSTAL REGION. 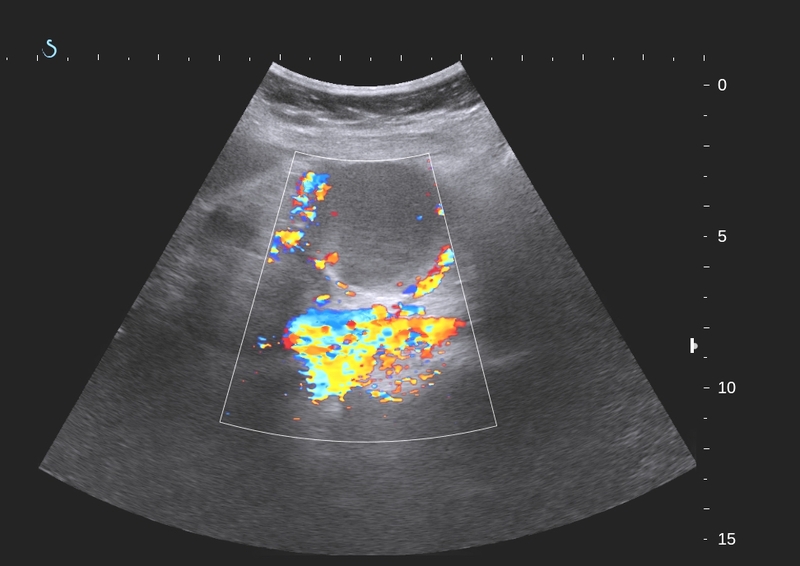 PLAIN XRAY FILM KUB DETECTED CALCIFICATION PUNCTIFORM AT LIVER BORDER AND RIGHT KIDNEY ( SEE XRAY PLAIN FILM). 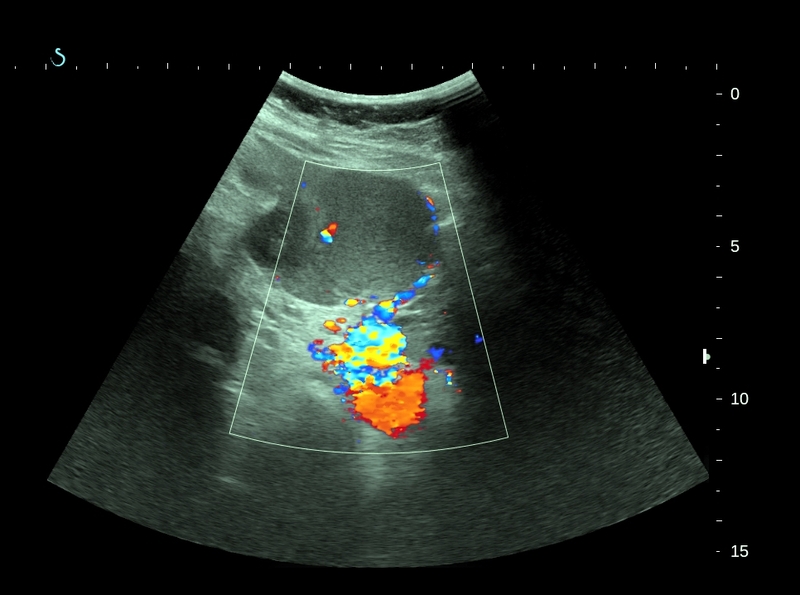 ULTRASOUND OF ABDOMEN FIND OUT THIS MASS IN RETROPERITONEUM, SIZE OF 7X5 CM , WHICH PULL THE RIGHT KIDNEY DOWN. 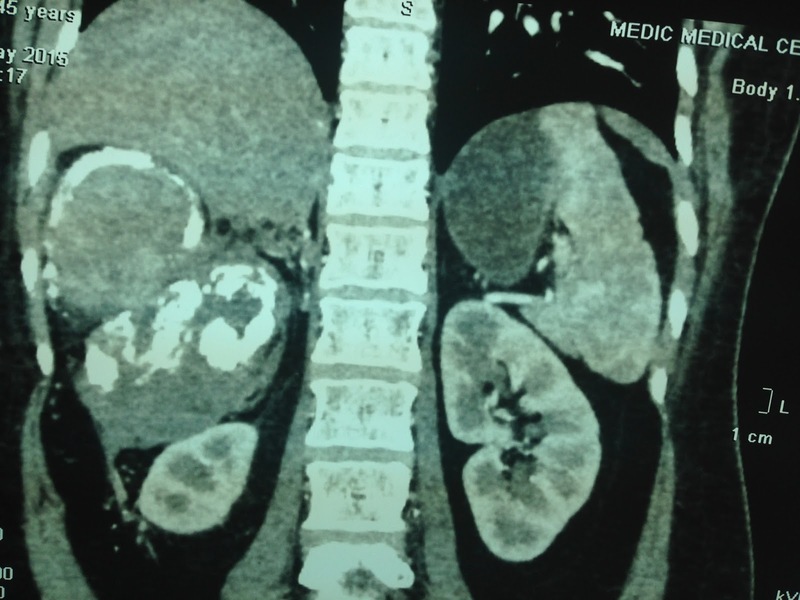 ITS STRUCTURE IS CYSTIC, MULTILOCULATED WITH FINE WALL AND CALCIFICATED. 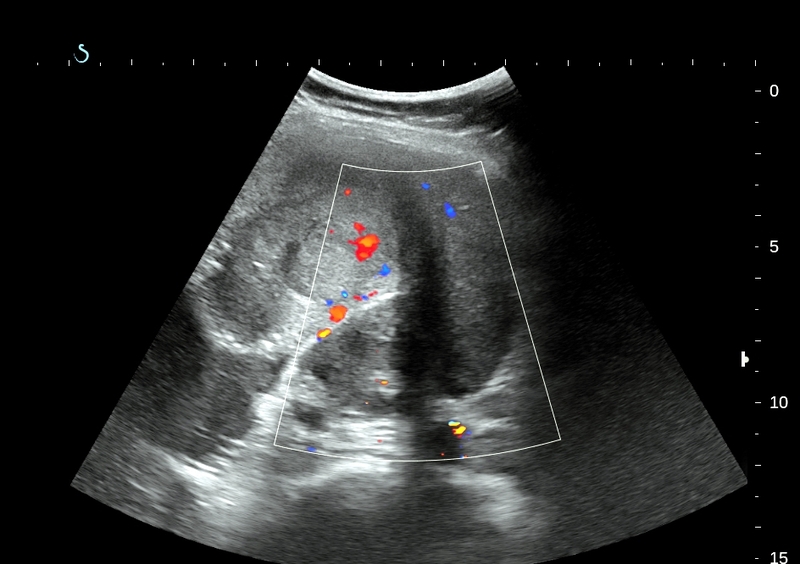 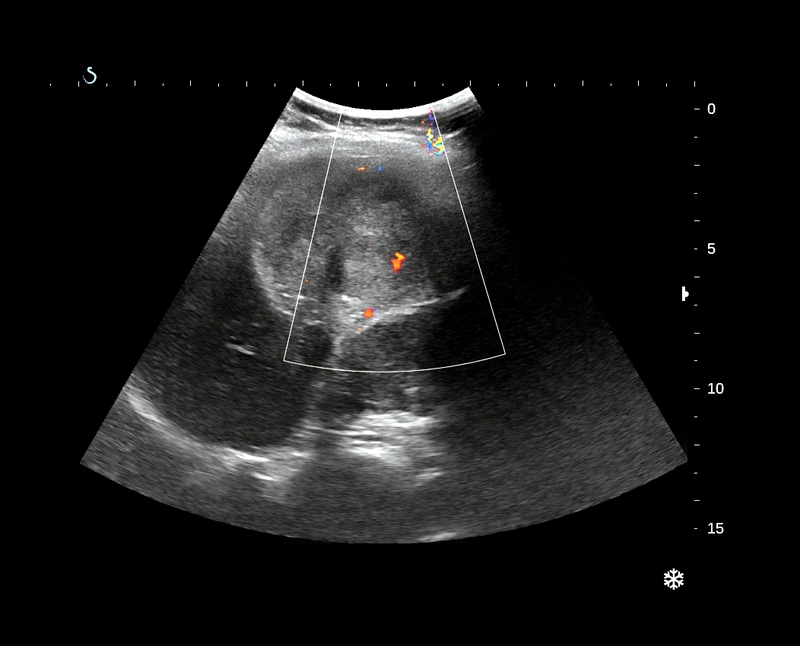 THE CONTENT OF THIS CYST IS MIXED ECHOGENIC STRUCTURE ( SEE 4 US IMAGES ). 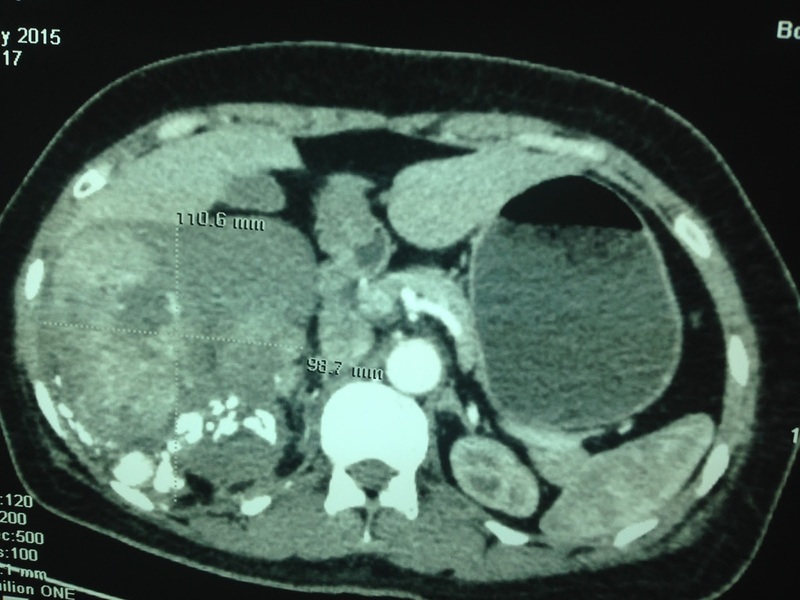 MSCT OF ABDOMEN WITH CE= THIS TUMOR IS MULTICYSTIC WITH CALCIFICATION OF THE WALL ( SEE 3 CT IMAGES). 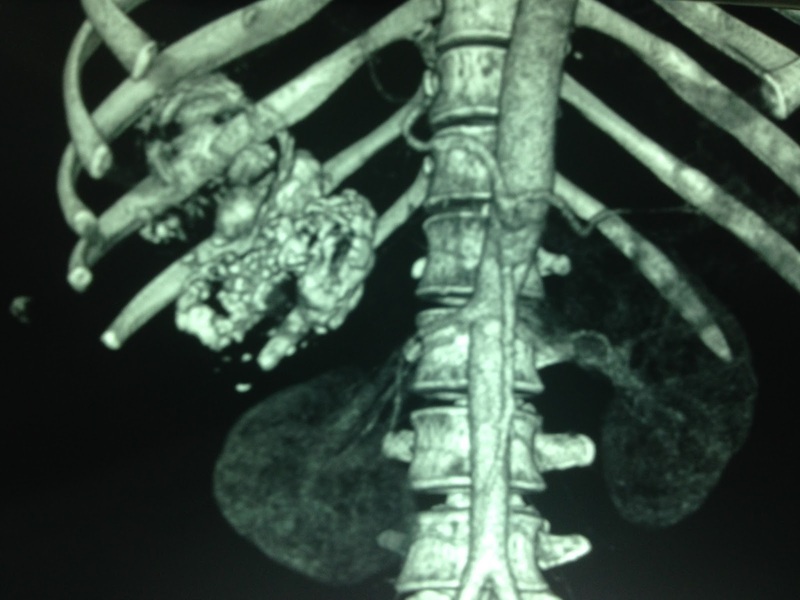 Preoperative diagnosis in BD HOSPITAL IS retroperitoneal teratoma. 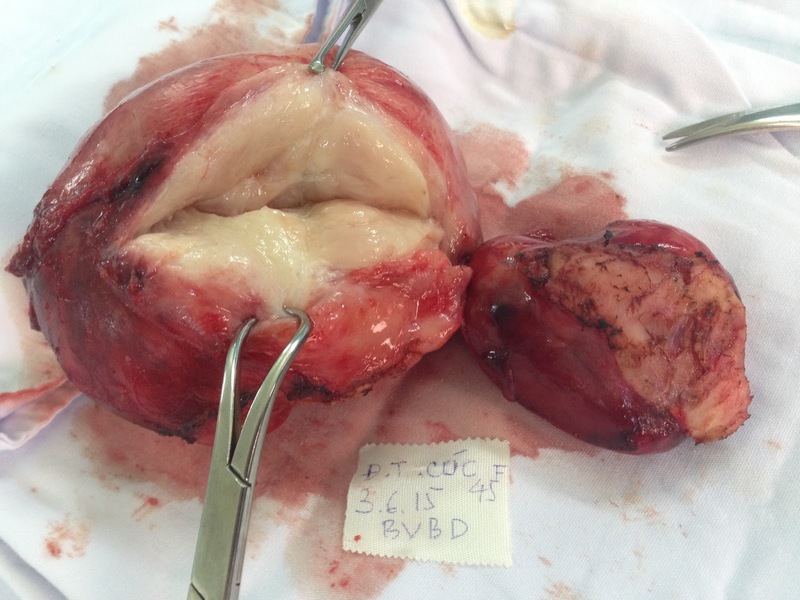 Operation removed this mass hard and clear bordered, specimen is white structure like fibroma. 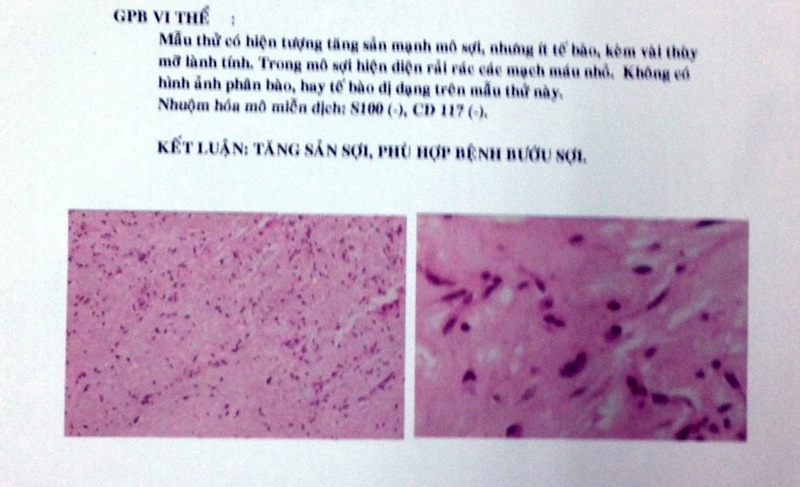 Microscopic result is fibroma in retroperitoneum.